Cuirim céad mile fáilte romhaibh ag Ard-Eaglais na Deastógála i dTuaim inniu. Fáilte roimh ’chuile dhuine idir chléir ’s tuath. Tagann muid le chéile inniu ag guí ar son an comh-thionól tréadach atá ag teacht aníos an mhí seo chugainn. Go gcuire Dia a bheannacht agus rath ar an teacht le chéile. When Pope John XXIII spoke on the opening day of the Vatican Council his robust voice seemed to shed his years and became a youthful prophet launching the Church on a great adventure of the spirit. Our task, he said, was not merely to hoard this precious treasure but to give ourselves eagerly and without fear to the task the present age demanded. The present age then was one of turmoil. It was just over a decade since World War II ended with loss of life measured in millions. There were the superpowers of Russia and America threatening nuclear war. Europe was torn apart and the Cold War chilled us all. This was not to be a council which rubber-stamped the conclusions of the theologians but called for open debate where the voices of the East, with Africa and South America would bring fresh insights into the life of the Church. Of course there were some who didn’t want change, but the changing social and political face of Europe demanded a new mission from the Church. It was no longer appropriate for priestly ministry to be exercised in splendid isolation. In the words of the last testament of Pope John Paul II written just before his death; “I thank the Holy Spirit for the great gift of the council. I am convinced that for a long time the new generations will draw on the riches that this council of the 20th century gave us”. The Church across Europe and beyond worked tirelessly to bring life to the vision of that Council. Already they were facing the sad sight of near empty churches, falling vocations to the priesthood and religious life and parishes which could no longer claim a resident priest. All the while we looked on that phenomenon from a distance and naively considered that we could never be faced with a scenario like that. We failed to appreciate the urgency. Today, however, out here on the western margins of Europe, in this traditional Catholic setting we are familiar with empty benches in churches, closing of convents and religious houses and the inability of the Archdiocese to guarantee a priest for every parish. Despite the gathering gloom, the words of Christ continue to challenge us all “come follow me …. make disciples of every nation … the Father has sent me, so I am sending you … I will be with you always”. For years we saw this only in the context of foreign missions of which this country is justifiably proud but now the mission is not the dusty wastes of Africa or on far flung islands at the edge of the world but here in the familiar streets and laneways of home. We live in times which demand of us a vision of what it means to be Christian and part of the witnessing Christian community. The vision has to be much more than words. It has to be earthed and shaped in our lives as an Archdiocese so that it can become a reality. Over the past two years a widespread consultation has taken place and more will be required.  Together we need to explore the scriptures, the traditions of the Irish Church and our own personal faith commitment. This has enabled us to name the pastoral priorities for the Archdiocese and accept responsibility for them. During this time we were enabled to harness more effectively the multiplicity of God-given talents and gifts in our community together with the ministries which sustain them. All this calls for courage, generosity and vision in the months and years ahead. The Constitution of the Church in the Modern World of Vatican II states “the future of humanity is in the hands of those who are capable of providing the generations to come with reasons for life and optimism”. In a way we are to become prophets of a future not our own. In the words of the martyred Archbishop Oscar Romero “ …we may never see the end results but that is the difference between the master builder and the worker. We are workers not master builders. We are ministers, not messiahs”. God will remind us in the months ahead that the task, however difficult, is possible because the Lord is with us. In the reading from the prophet Jeremiah, he told the people that he would reverse their future, “I have plans for you, plans for peace, not disaster, reserving a future full of hope for you. When you plead I will listen”. St. Paul in his letter to the Corinthians draws attention to the variety of gifts they possess, gifts of which not even he could boast. There are all sorts of services to be done but always to the same Lord. These are the same God given gifts you have and with which you can open the gospel to the eyes of others. Long before the Vatican Council Pope Pius XII reminded people “the best missioner to the factory worker is another factory worker and the best witness to the person in the field is another farmer”. Of course we recall the great gospel sharers of the country, parents and teachers, religious and priests but now they are all asked to bring the gospel beyond the doors of their home and classrooms. As we look at the heart of the nation today perhaps we are discouraged with the gap between the rich and the poor, the healthy and the sick, the athletic and the handicapped. Maybe the rising tide of drugs and alcohol un-nerves us. As we look at the Church it seems only to be a shadow of its former self. Sadly, many failed in their mission while others contracted something of the greed of the age. Perhaps a suffering Church will be needed to bring us back to the suffering Christ. We are at one with the first Disciples of Christ when they gathered in fear in the upper room after his death. They feared every knock on the door, every step on the stair. Then Jesus comes to them with his blessing of peace and gives them a commission they can never forget. “As the Father has sent me so am I sending you”. Jesus needs them, the infant Church to take the message to the ends of the earth. The Church was to be the mouth to speak his words, the ears to hear the cry of the poor; the lonely and the dispossessed, and the eyes to see the challenge of that age. We remember that without Christ the Church has no mission, no power, no relevance. Jesus breathed on the bewildered, frightened disciples and hope and courage grew. Just like dried bones, the lifeless skeletons came to life and the valley of the dried bones in the writing of the prophet Ezekiel because they experienced the breath of God. The same breath of God will stir us all into life as we live out our Christian calling to the full. The task ahead is challenging, it will call for prayer, patience and persistence. We ask God to pour out His spirit on the Archdiocese to give us a new vision of His glory, a new experience of His power, a new faithfulness to His word and a new consecration to His service so that His kingdom will come upon us. We need to restructure the ministry of the Church to match the demands of the new mission. Such a Church must become a Church of vibrant, closely-knit but outward- looking, gospel based sacramental communities which evangelise through the quality of their spirituality and their life style, while at the same time, are committed to serving the world, especially the poor, the in-justice, love and peace and in harmony with the environment”. I came across a prayer recently which may be appropriate “Disturb us Lord when we are too well pleased with ourselves, when our dreams have come true because we dreamt so little, when we arrived in safety because we sailed too close to the shore. Disturb us Lord when with the abundance of the things we possess we have lost our thirst for the waters of life. We ask this in the name of the God who pushed back the horizons of hope and invited us to follow Him. Cruinnithe lán dóchais an t-ainm a bhí ar na cruinnithe san paróistí I rith na blianta agus muid ag réiteach agus ag ullmhú don oll-chruinniú mhór seo. Líonann an próiséas seo muid lán le dóchas. Dóchas i nDia, dóchas san Eaglais, dóchas i ndaoine óga. Táimid dóchasach go gcuire Dia a bheannacht ar an gcomh-thionól tréadach agus go dtreiseofar creideamh na ndaoine in Ard-dheoise Thuama anois agus amach anseo sa todhchaí. Over the last two years so much work, prayer and preparation through the various gatherings and meetings has gone into the Assembly. You yourselves in your own Parish/Church area. The Council for the Laity. Various groups involved in ministry. Young people in post-primary and third level. Religious and Priests of the Archdiocese. All of that work was spearheaded and supported by a very industrious and energetic committee. All of us are indebted to Fr. Tod Nolan the chairperson and the members of the committee representing the people, religious and priests of the Archdiocese, Mary Trench, Noreen Sadler, Ann McHale, Sr. Patricia Kelly, Fr. Richard Gibbons and the Vicar General of the Archdiocese, Msgr. Dermot Moloney.